With the recent success of Marvel/Netflix’s Daredevil, comic book fans and TV fans alike got a taste of just how terrific the team-up has proven. With Netflix’s formula for successful original content and the resources of Marvel, there was ample opportunity for greatness, and if Season 1 Daredevil proves anything, it’s that we are in for quite the ride. But that recent taste has made us want more. More Daredevil, but also more Marvel/Netflix content like Jessica Jones, Luke Cage and Iron Fist. And while we’ve heard of some progress with the former two projects, there has not been any word on Iron Fist and it may be because Marvel is having issues deciding on direction. According to Birth Movies Death sources, Marvel is having some issues on where exactly they want to take the character. The rumor is that the company has brought in a whole slew of people to pitch ideas, and have had plenty discussion on the series, but nothing has yet to stick. One of the major hold-ups in direction is the mystical elements of Iron Fist. There are too many different opinions on just how much of those magics Marvel wants to bring to the show. If this proves to be true, it is understandable there be a hold up on mystical elements. One of the major reasons Daredevil was so successful was that it was gruesomely grounded. The fight scenes were gritty and intense, but seemingly realistic. Even the way the show goes about Matt Murdock’s heightened senses never really goes out of the realm of reality. For Iron Fist, or Danny Rand, though, he is far more than just a stellar martial artist. He has also been trained with mystical masters, gaining the power of the Iron Fist. Basically, he can channel all of his body’s chi into his fist creating a superhuman strength, surrounding his fist in a sort of fiery glow. It’s a mystical magic that separates Iron Fist from pure martial artists, and it’s basically what makes him Iron Fist. So without some sense of the mysticality, can Iron Fist really be Iron Fist? So while Marvel debates this big decision, there hasn’t been much forward progress on the project. We already know that Jessica Jones is pretty far along, while Luke Cage is currently in the writing stage. Marvel/Netflix also has Daredevil Season 2 which they are already working on. 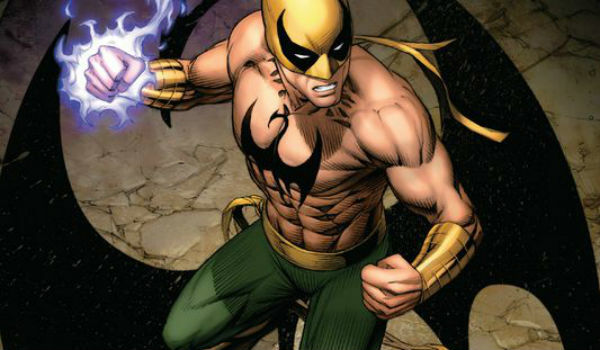 But, we were under the impression that Iron Fist would be hitting sometime in 2016, and if there hasn’t even been agreement on direction of the show, that seems highly unlikely.